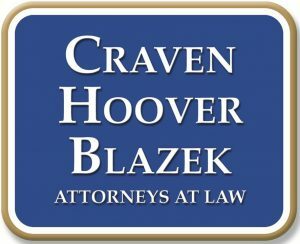 Burn Victims Can Pursue Compensation for Their Injuries in Indiana | Craven, Hoover, & Blazek P.C. When a person is seriously injured in a burn accident that resulted from another person or entity’s negligence, they are most often eligible for remuneration in Indiana. This means a burn victim, or the family of a burn victim who was lost, can hire a personal injury attorney and pursue a negligent injury lawsuit. They can gain compensation for pain, suffering, lost wages, wrongful death, medical expenses, hospital bills, and much more. It requires the acute knowledge and experience of a personal injury lawyer in order to implement an effectual injury claim against the negligent parties. In some cases, there is more than one party to blame for a serious burn accident. A person can suffer a serious burn or series of burns in a magnitude of ways. Electrocution in the workplace is one of the most common circumstances of negligent burn injuries. 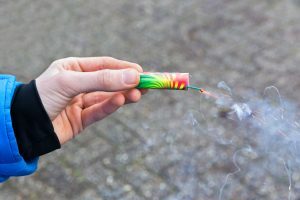 Other common scenarios include scalding water injuries, motor vehicle accidents, chemical burns, flammable liquid accidents, bon fire injuries, firework burns, defective candles, road rash, UV burns, and more. More cases of burn injuries also include explosions, industrial accidents, gasoline fires, and gas spills. None of the above circumstances are desirable and all of them are preventable. If a company, defective product, an individual, or a group of people caused serious burns to an innocent victim, that victim has a right to compensation under Indiana law. Although there are several ways a person can become a burn victim, there is only one true way to defend them; that is to hire a reputable personal injury attorney that concentrates on burn cases. They have the resources, proficiency of law, and experience to build a strong and solid claim against the opposing negligent party or parties. It is important to take immediate action following a burn accident injury. There is a limited lawful time in Indiana that a person has to file an injury claim against another party. Call a licensed personal injury attorney BEFORE this Indiana Statutes of Limitations runs out! The more time an attorney has to collect evidence and develop a case, the better the chances are at receiving remuneration from the courts and the negligent parties. Call Craven, Hoover, and Blazek P.C. at 317-881-2700 for burn accident injury claims in Indianapolis, Indiana. Attorney, Daniel Craven, and his accomplished colleagues, can help recover compensation for your recent burn injuries starting today! If you or a loved one was recently injured as a result of another person or entity’s negligence, and suffered severe burns, call our licensed personal injury attorneys right away. We offer free initial consultations to assess our client’s case and determine if they have a legitimate claim. We also NEVER collect attorney fees unless we prevail for you! Call 317-881-2700 and learn more about burn accident lawsuits and claims today. This entry was posted in Burn Accident Injuries and tagged burn accident attorneys, burn accident injury, Burn Accident Lawsuits, burn accident lawyers, burn injuries, burn victim case, Indianapolis Indiana. Bookmark the permalink.